Almost every professional B2B sales person comes to grips with one of the challenges of penetrating key accounts. Key accounts are different than the ordinary, and require some more sophisticated skills and strategies. Here are four fundamentals for effectively penetrating key accounts. Recognize that key accounts are different. First of all, they are larger, but that’s only the beginning. Their decision-making processes will be much more complex, and in some cases, highly structured. A product that may, in a smaller account, only need one person’s approval to purchase can require dozens of people to sign off on it in a key account. The people have widely different specialty skill sets, perspectives, and motivations. In smaller accounts, you may only have to deal effectively with an owner or executive. In key accounts, the same product may require skillful communications with an engineer, a purchasing agent, a project manager and a foreman. Each of these specialties is likely to have a different personality type, challenging the sales person to adapt. Because of the size and complexity, there are a variety of motivations and agendas inside a key account. 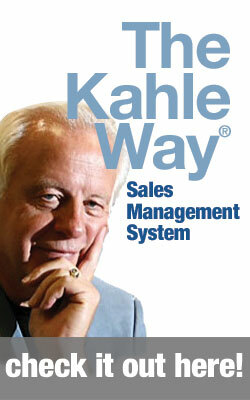 A naive sales person can be constantly frustrated because they all don’t think the way he/she thinks. I can go on for pages on ways in which key accounts are different, but this is sufficient to make the point. If you don’t adjust your strategies and tactics to the unique dynamics of a key account, you will be wasting your time. Approach the organization of your time within a key account like you would your entire territory. When you look at your territory, you see lots of independent units we call accounts. You understand that each has a unique set of needs, budgets and personal dynamics, and that each offers its own set of opportunities. When you approach a key account, think of it as a territory on its own, with lots of units that act like accounts. These units can be departments, or branches, or plants, or whatever organization exists within that account. Each one of them may conceivably have the ability to purchase or move forward the purchase of your products and services. Each unit, whatever it may be, has its own unique set of needs, budgets and personal dynamics. And, in many cases, the purchasing power of one of those units can far outstrip the purchasing power of one of your smaller accounts. Just as you would begin your work in your sales territory by first identifying all the potential accounts, so too, you begin your work in a key account by identifying all the individual units, and then understanding the relationships among them. Just as you would take six months or a year to come to know the accounts in your territory, so too, expect that it will take a like period of time to identify and come to know all of the units within your key accounts. Just as you would attempt to ascertain what opportunities there were in each of your other accounts, so too, you should attempt to uncover the opportunities in each of the key account units. While key accounts are more complex and require some more sophisticated strategies and skills on your part, the perspective that you take to managing your time in a key account should mimic the perspective you take in coming to know the accounts in your territory. Understand that you gain traction in key accounts through relationships, leverage, and organization. If you are going to have influence in a key account, you must have relationships with the influential people. Because of the size of a key account, and the natural movement of people within it, that means that coming to know the influential people is not an event which has an ending, but is rather a constant process that never ends. Make a list of the people who should know you, and update it after every sales call. Who are the department heads in each of those units? Who are influencers? The decision makers? Who could be a champion for you? Not only do you need to proactively expand your relationships deep into the organization, but you also need to focus upward, and come to know those people who oversee combinations of units, and the C-level people in the corner suites. So, if you want to increase your sales, begin with relationships. And, the primary way you do that is to leverage every question, every positive relationship, every conversation, and every opportunity to more of the same. Leverage, in this case, means using something to create something additional. In other words, you use every conversation as an opportunity to open the door to more. Assume the attitude that there is always more. There are more people to meet, more opportunities to uncover, more problems to solve, and more needs to fill. In every single sales call, you ought to ask, “Who else should I be talking to?” Or, “Who should I know in xxxx department? 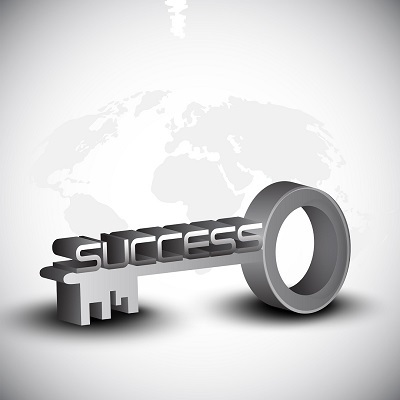 “ If you successfully sell something, that experience should be leveraged to uncover the next opportunity. If you meet someone, that relationship should be leveraged to create more. And so it goes, unending. 4. Finally, key accounts are no place for the unorganized sales person. Successfully selling in a key account requires organizational tools and disciplines that are a stretch for the average sales person. Imagine all the people who you need to know, multiply them by the relationships and agendas among them, overlay that with the account’s strategies, needs and budgets, factor in all the opportunities and the steps in each process necessary to bring it to fruition, and you’ll begin to get an idea of the degree to which you’ll need to collect information, store it, and continually use it. A sophisticated CRM system is a must, as is the discipline to use it religiously. While these few ideas are not the whole story, they will get you started in your efforts to successfully sell to key accounts. Recognize the difference, plan your time as if each were a sales territory on its own, and apply the weapons of relationship, leverage and organization to the task. You’ll be well on your way. What would a weekly bit of inspiration, education and motivation every week mean to you? Subscribe to Dave’s Ezines. Learn more here. Four articles a month - designed to help you sell better. 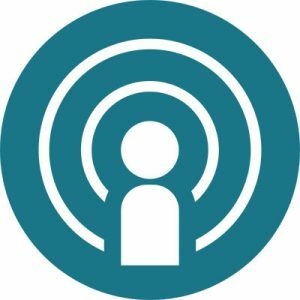 Two free podcasts a month designed instill sales best practices.